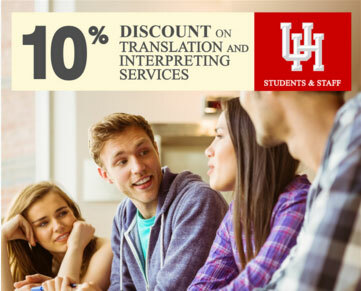 Partners: University of Houston | DayTranslations, Inc.
faculty and staff of The University of Houston (UH). Day Translations, Inc. has been a long-time champion of higher learning and is always eager to extend help whenever we can. We are proud to do our share in helping the students, faculty and staff of the University of Houston, a prestigious state research university and a top public university since its foundation in 1927. It has a current student population of 41,000, coming from all over the country and overseas. With such a diverse student population, we offer the university system a 10% discount for all their language service needs, such as evaluation and translation of academic transcripts, translation of books, manuals and scholarly articles, help with visas and immigration requirements and interpreting services for international fora and conventions. We guarantee that our translation services are accurate, of consistent quality and methodology and use the required language, infused with local tones and nuances. Our professional translators are adept and experienced in various fields, including science, business, finance, politics, art, music, law and information technology. We work with more than 100 language pairs, suitable to the needs of such a diverse community as the one in The University of Houston (UH). The University of Houston (UH) is the leading public research university in the State of Houston, offering over 300 undergraduate and graduate academic programs. Classes are available on campus and online, awarding more than 8,000 degrees each year. Students at UH usually spend their internships with the national and international companies based in Houston to test their skills. Likewise, the university’s faculty often partners with government agencies and businesses through research, which further hone their knowledge and skills. As a leading research university, UH often breaks new ground, and its students and faculty conduct their research not only in their academic departments but also through the university’s 25 research centers. UH has several accreditations and most of its faculty members are renowned scholars in various fields. The University of Houston students come not only from different states in the U.S. but also from over 137 nations, with China, India, Vietnam, Nigeria, Saudi Arabia, South Korea, Iran, Mexico, Venezuela and Canada being the top countries where overseas students come from. 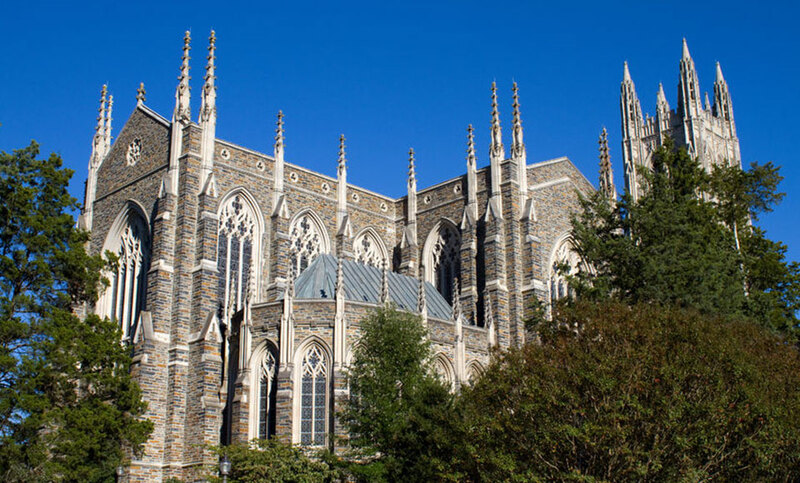 The university has a long list of notable alumni working in various fields such as former NASA astronaut Bonnie J. Dunbar, professional golfer Fred Couples, Tom Jarriel, an ABC news anchor, several sports personalities, actors, singers and actresses, novelists, playwrights and politicians.